 The 52nd festival will be taking place from Thursday 28th until Sunday 31st July 2016, at Cherry Hinton Hall Grounds, in Cambridge. Christy Moore, Gogol Bordello, and Imelda May are the headliners. They top a bill that will feature Glen Hansard, Mary Chapin Carpenter, Afro Celt Sound System, Kate Rusby, Charles Bradley & his Extraordinaires, Eliza Carthy and The Wayward Band, Jon Boden, Songs of Separation, Sam Lee & Friends, The Michael McGoldrick Band, Blazin' Fiddles, Solas, Edward II, Le Vent du Nord, Duncan Chisholm, Kila, Breabach, Hot 8 Brass Band, Cash Box Kings, This Is The Kit, Stick in the Wheel, Seafret, Mike & Ruthy, Will Varley, Lisa O'Neill, Brian McNeill, The Dovetail Trio, Imar, Sam Kelly and The Lost Boys, and Flats & Sharps, p;lud Ceilidhs from Glorystrokes, Steamchicken, and Silent Ceilidh, children's concerts from Funbox, and The Barrow Band, Club Tent showcases from The Rheingans Sisters, Hattie Briggs, and Kelly Oliver, with Anna & Elizabeth, and Ceilidh Liberation Front making appearances in The Den. Latest additions Baaba Maal, KT Tunstall, Chris Wood, John McCusker, Nancy Kerr and the Sweet Visitor Band, Applewood Road, Sam Outlaw, Della Mae, Belinda O'Hooley & Heidi Tidow, Leyla McCalla, Darlingside, Blind Boy Paxton, Varldens Band, Megson, Lady Maisery, and Georgia Shackleton Trio. For the line-up details, and day splits, as available see the Cambridge Folk Festival line-up page. This year they are selling tickets through a new ticketing system - ticket buyers must have an account, and password which must have been accessed recently. Festival goers must be registered here.